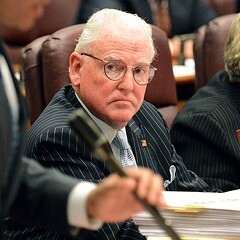 During last Friday's City Council finance committee meeting, Alderman Ed Burke read aloud from a recent Reader investigation into the Chicago Police Department's secret civil asset forfeiture budget. The department spends the funds on routine expenditures like cell phone bills, but also on controversial surveillance equipment; Burke argued the money could instead be used to pay for quick-clotting gauze. 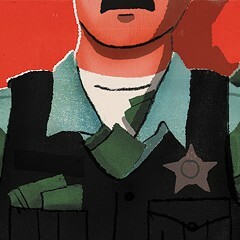 Officers shot in the line of duty could thus care for their own wounds before paramedics arrived. Burke did not, however, call for the gauze to be given to ordinary citizens shot by cops. 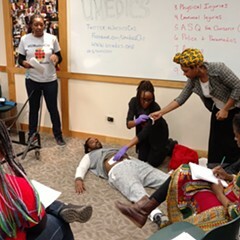 Although all Chicago police officers receive basic first aid training at the police academy, a course for trauma care skills is voluntary, and officers must pay for it themselves. About 1,000 of CPD's 12,000 officers are currently certified through this Law Enforcement Medical and Rescue Training course, and carry first aid kits with tourniquets and other tools for traumatic injuries. And while efforts to train and equip all officers for first aid trauma care are underway in Chicago and elsewhere, CPD doesn't require officers to offer medical assistance to citizens—a reflection of police department policies nationwide. But the notion that cops should, perhaps, be called upon to provide potentially life-saving first aid care to the people they shoot has intensified with each successive video showing a police-shooting victim bleeding to death before paramedics arrive. And while Chicago officers and their union say this isn't the responsibility of police, some medical professionals and the families of victims are calling on cops to reconsider their role. The debate was first sparked in Chicago by the death of Marlon Horton, a 28-year-old man fatally shot by off-duty officer Kenneth Walker outside a west-side Chicago Housing Authority building in September 2013. Walker worked as a security guard at the site; Horton had been unarmed. Security camera footage captured an argument between Horton and two security guards, as well as the aftermath of the shooting. Immediately after falling to the ground, Horton can be seen writhing on his belly, and then flipping on his back. A large blood stain becomes visible on his chest, as blood pools all over the pavement. The video also appears to show Walker and a second security officer, Shaquila Moore, walking around Horton's body and placing phone calls after he'd been shot. Moore appears to pick up and drink from a cup she had placed on the ground. Neither Walker, nor Moore, nor any of the at least four other officers who showed up at the scene within the first five minutes of the shooting appear to give any first aid to Horton. It took paramedics seven minutes to arrive. Horton's family sued CPD and the city in federal court a few weeks after his death. The Horton family's lawyer, Jeffrey Granich, says audio from the 911 call placed by Moore revealed that the dispatcher had instructed Moore to apply pressure to Horton's wound, but she did not. "She bends down next to the body and picks up her coffee cup and begins to finish drinking her coffee while he bleeds to death and dies," Granich says in an interview. "The absolute lack of any type of human care or concern exhibited in this video shocks the conscience." The lawsuit is still pending, but Granich says that both Moore and Walker have testified that they had first aid training. 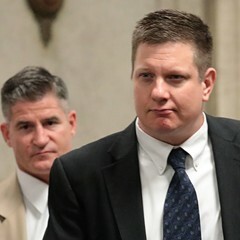 Horton's case got renewed local media attention after the Laquan McDonald video showed cops at the scene failing to offer aid to the bleeding victim, shot 16 times by Officer Jason Van Dyke, and again after the release of the police body cam footage of the shooting of Paul O'Neal, which captured dozens of officers milling about as O'Neal lay face-down on the pavement, handcuffed and bleeding from a wound in his back. O'Neal received no first aid until paramedics arrived. Stories of Chicago cops providing first aid to shooting victims do crop up from time to time, and are celebrated by the department as examples of officers' bravery. Most recently, an officer used his quick-clotting gauze to stem the bleeding of a man who had been shot in the chest in South Chicago. But these stories appear to be the one-off acts of good samaritans, rather than reflections of department policy. "We are required to render aid, which could be just calling the fire department," says CPD sergeant Bob Kane of the department's press office. "If the officer feels that they know what they're doing then they can, but they're not required to put hands on and try to stop someone's wound." In addition, Dean Angelo Sr., president of the Fraternal Order of Police Lodge 7, the police union, has protested the idea that cops should be required to give first aid. "Our officers are trained to call for paramedics," Angelo said at a press conference in December 2015. "They're not trained in first aid. They're not there to supply CPR, or to stop the flow of blood." Angelo didn't respond to a Reader inquiry about whether the FOP's position has changed since then. But following the September release of the police shooting video that showed Tulsa-resident Terence Crutcher bleeding for two and a half minutes before officers begin to render any aid, national media has scrutinized the status quo. Medical professionals are also stepping forward to argue that cops should offer first aid, especially to the people they themselves shoot. "If we are going to give our police officers guns," writes Farzon A. Nahvi, a New York City emergency medical physician in a recent New York Times op-ed, "officers must be properly trained to deal with the consequences of firing them." Gary Merlotti, a trauma surgeon at Mr. Sinai Hospital in Chicago, says that stopping a victim's bleeding is paramount before he or she arrives at a trauma center. 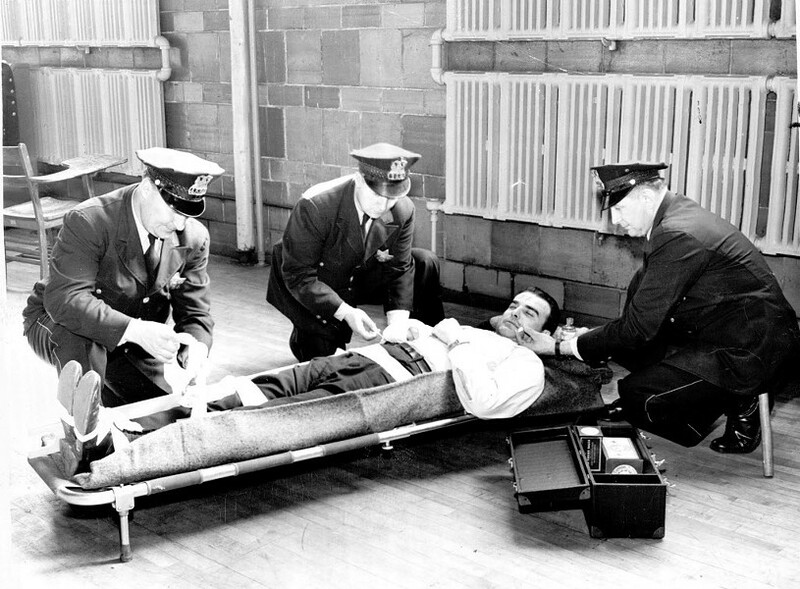 "Should the police be trained in first aid? Absolutely. Should they apply it to trauma victims? Absolutely," he says. A 2012 Northwestern University study also highlighted the importance of timely trauma care. The study found that people living in Chicago's "trauma deserts"—south-side areas without a Level 1 adult trauma center within a five-mile radius—were more likely to die of gunshot wounds. The findings gave powerful ammunition to the movement for a new trauma center at the University of Chicago. 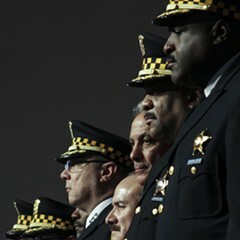 Community groups had been fighting for the trauma center for years; it could take a similar movement to see changes made to the first aid policies of CPD and other departments. "I think it's time that we call for a national, unified policy on, if you [as an officer] are the person that causes harm, you have a duty to render aid," Granich says. Ironically, the debate about whether cops should be offering such care to citizens is intensifying just as the department itself is calling attention to the importance of emergency trauma care. At Friday's City Council hearing, Brian Berkowitz, an instructor from CPD's education and training division, pointed out that the first few minutes after an officer is shot are crucial for his or her survival. "We can bleed out and die in as little as two-to-four minutes," he said of officers shot in the line of duty. "We can lose consciousness in as little as 60 seconds. But our average response time for an ambulance can be six minutes."